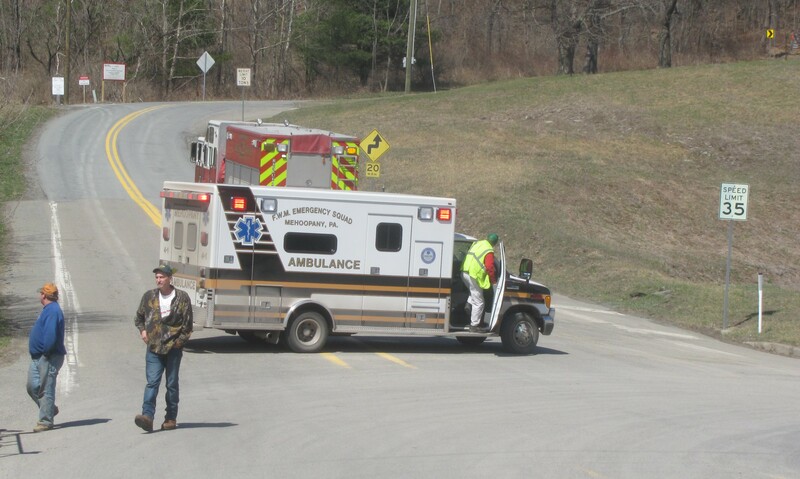 The sudden release of highly pressurized natural gas broke the calm of an otherwise quiet spring afternoon on Meshopany Ridge in Wyoming County at about 2:15 pm on April 12. Nearby residents in Meshoppen and Washington Townships were taken off guard by the jet-like roar that resembled the sound of a natural gas flare-off. Such flare-offs, formerly a common part of the process of completing a newly drilled well, were rendered unnecessary in the area more than a year ago by the installation of many miles of gathering lines. 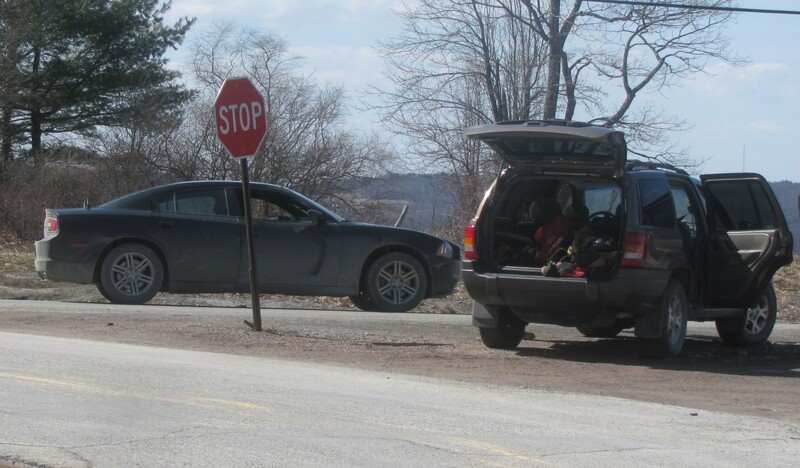 With about 15 minutes, Meshoppen Police Officer John Krieg had closed Meshopany Ridge Road at Rabbit Hollow Road, while ambulance personnel from Mehoopany had done the same at the other end at Route 87 near the Susquehanna River. The odor of gas, buoyed on a strong westerly breeze, was indeed quite strong along Rabbit Hollow Road. The fact that there was an odor indicated that it was treated gas, as natural gas coming out of the ground at a drilling site is odorless. Several residents concerned about the sound and the odor drove to the base of Route 87, where emergency personnel told them that there was a gas leak of some sort at the UGI Compression Station at the bend of Meshopany Ridge Road near Layou Lane. They were also told that, despite the odor, it was best for them to stay in their homes at this time. By 2:45 pm, the roar had ceased, but first responders continued to arrive on the scene. 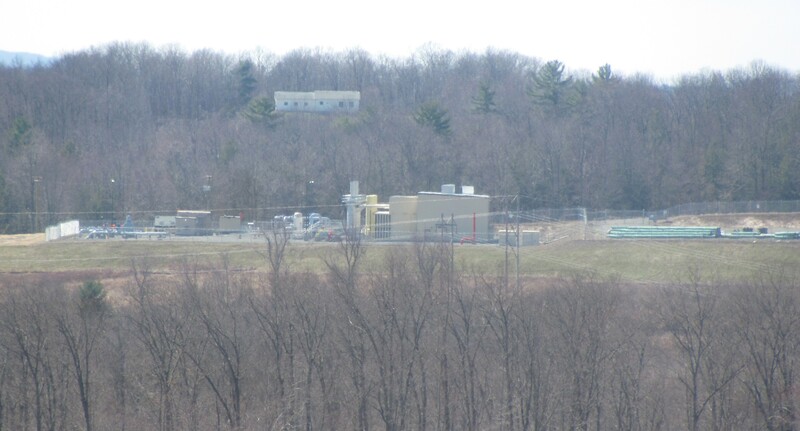 There were no clear signs of an emergency at the UGI Compressor Station, as seen from Route 87 below at 2:40 pm on April 12. Meshopany Ridge Road is blocked at Rabbit Hollow Road by Meshoppen Police, as additional emergency responders arrive and confer. Amazing. The industry that constantly touts how long they’ve been doing their “thing” safely has a “major” incident at a newly-constructed site. If they can’t get it right above ground, imagine what might be going on underground. I’m sure the DEP folks will investigate and state that everything is fine and there was no threat to the public.